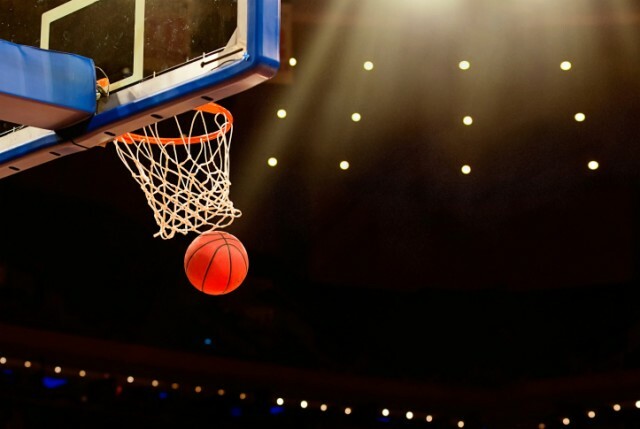 It wasn’t an easy ride to the NCAA Tournament’s Final Four — there were a lot of upsets and even more disappointments — but after this past weekend’s Elite Eight games, the four teams that remain are battle-tested. They are Connecticut, Florida, Wisconsin, and Kentucky, and it’s not a coincidence that they’ve made it this far in the Big Dance. Whether or not they have a healthy roster or are playing their best basketball isn’t relevant, because they’re still playing: That’s the only thing that matters. The four teams that will be showcased at AT&T Stadium in Arlington, Texas (home of the Dallas Cowboys) haven’t failed to excite thus far, and it doesn’t seem like that will change when they square off on April 5. But what sets these teams apart? Besides the fact that they all hail from different conferences and have different seeds and overall styles of play, they have used a combination of unique players — stars — and impressive performances to get to this point. The question now becomes how will these four teams match up and how will they perform on the biggest stage? There aren’t any favorites anymore. The seeds are pointless. Now, it’s whoever has the will to win it more. Here’s a breakdown of each of the Final Four teams, in no specific order. The lone one seed remaining in the tournament, Florida comes in with a lot of potential, as the Gators have the most experience of any team remaining. Florida starts four seniors: forward Casey Prather, guard Scottie Wilbekin, center Patric Young, and forward Will Yeguete. This senior class has impressively made it to the Elite Eight in every one of their seasons at Florida, and this experience will be paramount down the stretch. 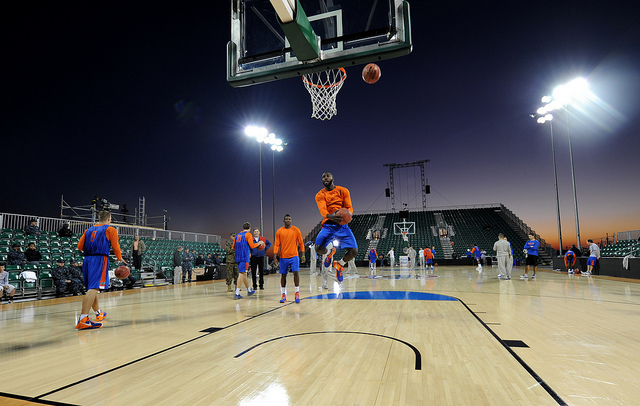 One area in which the Gators really excel and will beat you is in the paint. The 6-foot-9 Young teams up with sophomore forward Dorian Finney-Smith and Yeguete to combine for 18.1 rebounds per game on the year. While they’re not the biggest team in the country, Florida will control the boards if allowed. And if their size doesn’t do it, their speed will. The team’s athletic backcourt and long front court hounds opposing offenses, exemplified by the fact that in four tournament victories, only once has a team (UCLA) scored more than 60 points against the Gators. 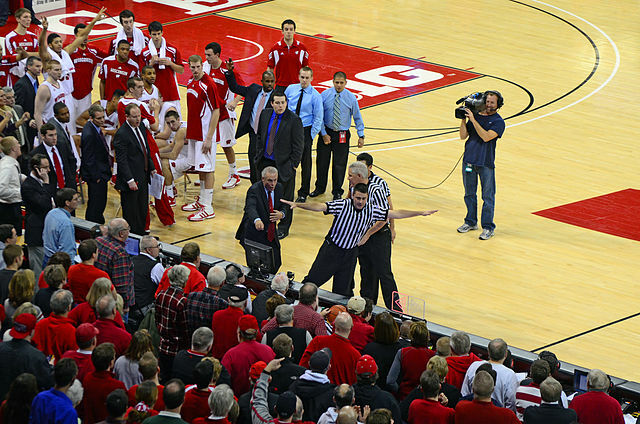 The Badgers didn’t have an easy road to their spot in the Final Four. They needed a lot of talent and a little bit of luck (a questionable push-off call late in overtime) to get past top-seed Arizona and into the Final Four. This followed Wisconsin having to sneak by two very athletic teams in Oregon and Baylor to even make it to the Elite Eight. But head coach Bo Ryan’s squad looks to be in good shape to continue its post-season run. While the Badgers have a deep bench, junior forward Frank Kaminsky has made the difference for Wisconsin throughout the tournament. Going back to the round of 32, Kaminsky has averaged nearly 35 minutes and 22 points per game on an even more impressive 57 percent shooting from the floor. Kaminsky’s ability to score outside the perimeter and in the paint embodies the Badgers’ style of play as a whole. But if there’s one chink in Wisconsin’s armor, it’s that they can quickly be forced to abandon their game plan. Coming out of the Big Ten, the Badgers play a slower, grinding style on offense and defense — they don’t want the game to be a track meet. The trick to beating them lies in a team’s ability to get out into transition and disrupt the flow of the game. Trying to defeat Wisconsin in the half court is nigh impossible; it’s better to use athleticism and tempo to get past the Badgers’ experience and Ryan’s system. 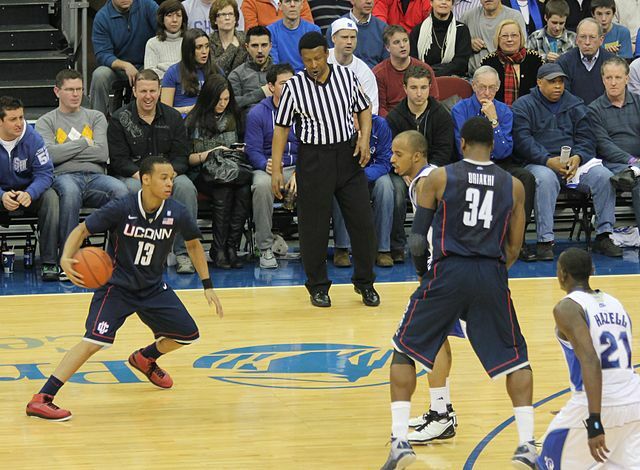 You can’t stop the Huskies without stopping (or at least limiting) senior point guard Shabazz Napier. The Roxbury, Massachusetts, native averaged 18.1 points, 5.9 rebounds, and 4.9 assists per game this season for Connecticut, and he’s been the impetus behind the Huskies’ success the entire way. While he was impressive in the regular season, he has been even more so throughout UConn’s Cinderella run. Going back to the team’s first-round game against Saint Joseph’s, Napier has averaged 23.3 points per game — in other words, he’s been unstoppable. The Huskies lack the depth of say, Florida, though. For example, in their win over Michigan State in the Elite Eight, the starting five played a combined 173 minutes, whereas only four players came off the bench and combined for just 27 minutes and two points. If the Huskies have a chance of advancing past Florida in the Final Four — coincidentally, the last time the two teams met, on December 2, was Florida’s last loss — they’ll need much more production from the bench and not so heavily rely on Napier to carry them (even though he can). The Wildcats are the lowest seed to enter the Final Four, but despite their middling seed, Kentucky doesn’t look like a Cinderella team — they’re far too talented. In a lot of similarities to Michigan’s infamous “Fab Five” from the early 1990s, the Wildcats sport a starting five of all freshmen. Whether it’s big men Julius Randle and Dakari Johnson, or twin brother guards Aaron and Andrew Harrison, these freshmen can play. They’re athletic, quick, skilled, and overall have a high basketball IQ (relatively speaking, considering they’re all 19 year olds). 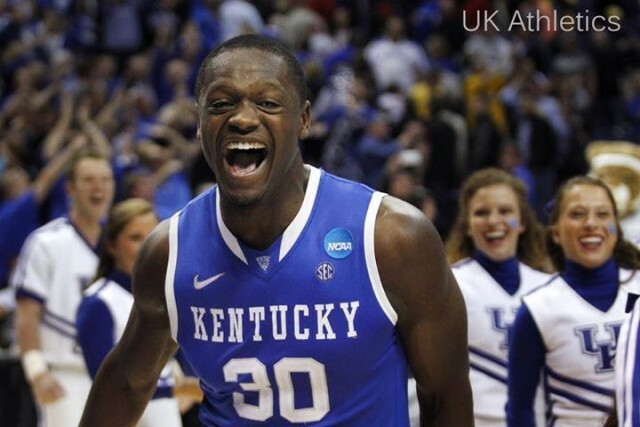 Just as the Wildcats’ youth has got them this far, it can also be their demise. Sure, they didn’t show any nerves or inexperience in their Elite Eight matchup with Michigan, but this is still an extremely unpredictable team. If the Harrison twins bring their A-game, Randle is a force to be reckoned with in the paint, and guard James Young hits his open looks, Kentucky can beat anybody in the Final Four. But if the best freshmen class since the Fab Five lets the pressure affect them, they’ll force shots, look lost defensively, and become five individuals, not a cohesive unit on the floor. Come next weekend, there’s no doubt that Kentucky has the talent to go the distance, it’s just a matter of whether they can live up to their potential — the Fab Five came up short on theirs.